H.P.P. 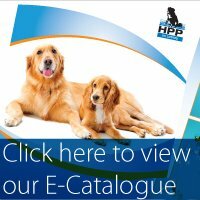 (UK) Limited have been established for more than 25 years and are designers and manufacturers of a wide range of dog and cat equipment. In our Sheffield factory we produce premium quality dog combs, rakes and grooming equipment, employing both automated techniques and traditional skills. We make the famous Spratts combs which are produced to the highest possible standard of workmanship and are much sought after by groomers throughout the world. Apart from grooming equipment, we sell top quality jewelled collars and leads, brushes, slickers and strippers, gold plated choke chains and leads, toys, coats, products for show dogs and many other articles. Our products are distributed by wholesalers in the UK and overseas. We have a very strong export base selling into all major European countries as well as the USA, Canada, Australia and many other markets worldwide. Our warehouse and offices are situated in Birmingham, from where orders are processed and despatched.